What if – for a relatively small investment – you could save money, breathe cleaner air, enjoy increased safety and comfort in your home, and help the environment while boosting your overall peace of mind? That’s just a quick synopsis of the benefits of getting regular HVAC maintenance. Now let’s take a closer look at why HVAC preventive maintenance is such a wise and worthwhile investment. Here are ways preventive maintenance benefits your bottom line. Regular HVAC maintenance is said to reduce the risk of costly breakdowns by as much as 95%. Chances are you wouldn’t drive your car for 30,000 miles without getting an oil change; you’d be asking for trouble. This analogy holds true for your heating and cooling system. Cut energy bills: Preventive maintenance helps ensure that your HVAC system runs at close to peak efficiency. This can mean savings of up to 30% on your energy bill, according to the U.S. Department of Energy. Extend system life: Regular maintenance extends the life of your system, reducing the likelihood that you’ll need to spend big bucks on an HVAC installation soon. It’s sort of like how annual checkups can help us humans live longer, except your HVAC doctor makes house calls. 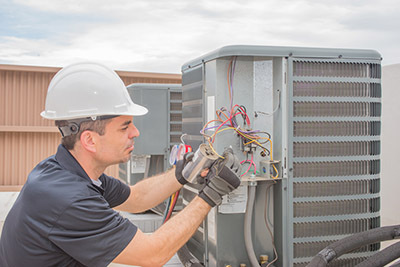 Stay covered under warranty: It’s important to be aware that most HVAC manufacturers require proof of annual maintenance when a repair claim is submitted under warranty. Some of the components that make your HVAC system work are fairly expensive, so investing in annual maintenance to keep them covered under your warranty can save you a significant sum if something goes wrong. 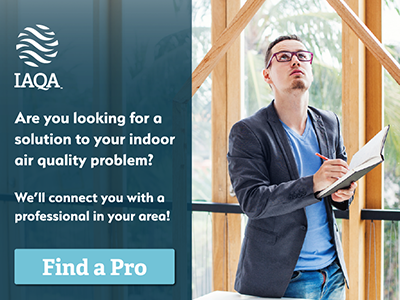 The EPA reports that indoor levels of airborne pollutants may be 2-5 times higher (in extreme cases more than 100 times higher) than outdoor levels. This is particularly significant if you or any family members suffer from respiratory issues such as asthma. Though we are not aware of it day to day, we share our homes with a variety of substances that we would rather not breathe. These common indoor allergens range from ordinary household dust that can contain dozens of respiratory issues to pet dander, dust mites, cigarette smoke, pollen and mold. If a musty odor has you concerned about mold, it may be time to consider having the air ducts professionally cleaned. Generally speaking, preventive maintenance helps ensure that the warm or cold air pumping through your vents is as clean and well-filtered as possible. But it can also be easy to take maintenance for granted, or to get used to the idea that a particular room is just too hot in the summer or chilly in the winter. Preventive steps like cleaning your ductwork can help ensure that your home heats and cools as evenly and efficiently as possible. You’ve heard the horror stories. Someone you know went away during the holidays and returned to find a frozen, severely damaged house. If you’re away from home and your heat stops working during a cold snap or one of those polar vortexes we’ve been hearing about lately, the result can be a domino effect of frozen or burst pipes, water damage and worse. The cost of repairs in this situation can be incredibly steep. Preventive HVAC maintenance also helps safeguard you and your family against the risk of carbon monoxide – the colorless, odorless gas whose effects can be deadly. According to the Centers for Disease Control, exposure to even low levels of carbon monoxide can cause serious health issues. The most common cause of carbon monoxide leaks is a cracked or failed heat exchanger. An HVAC maintenance checkup typically includes a carbon monoxide test that would detect any potential hazard. Your HVAC professional can also talk to you about the benefits of installing a carbon monoxide detector. For those concerned about their green footprint, keep in mind that a well-maintained HVAC system consumes considerably less fuel – and that’s good for the planet. Such homeowners will also want to be aware of what kind of refrigerant is used in their system since the EPA has been working to phase out substances that harm the environment. HVAC technicians handling controlled refrigerant are required to have EPA Section 608 Certification and can help you understand what kind of refrigerant you’re using, its impact on the environment, and your options. Your HVAC contractor can also talk to you about the benefits of using a programmable thermostat or switching from oil heat to natural gas so you can take to reduce your system’s impact on the environment. Finally, investing in a preventive maintenance plan gives you the comfort of knowing that if something goes wrong, you’ve already taken steps to make the situation as painless as possible.